On June 18th, 1815, one of the bloodiest and most famous battles in history was fought in the fields southeast of Brussels, the present-day capital of Belgium. At the Battle of Waterloo, Lord Wellington and his allies defeated the French Emperor Napoleon Bonaparte once and for all. At the time of the battle, Belgium was still a part of the Netherlands. The senior Dutch (and therefore Belgian) officer to take part at Waterloo was William, Prince of Orange. 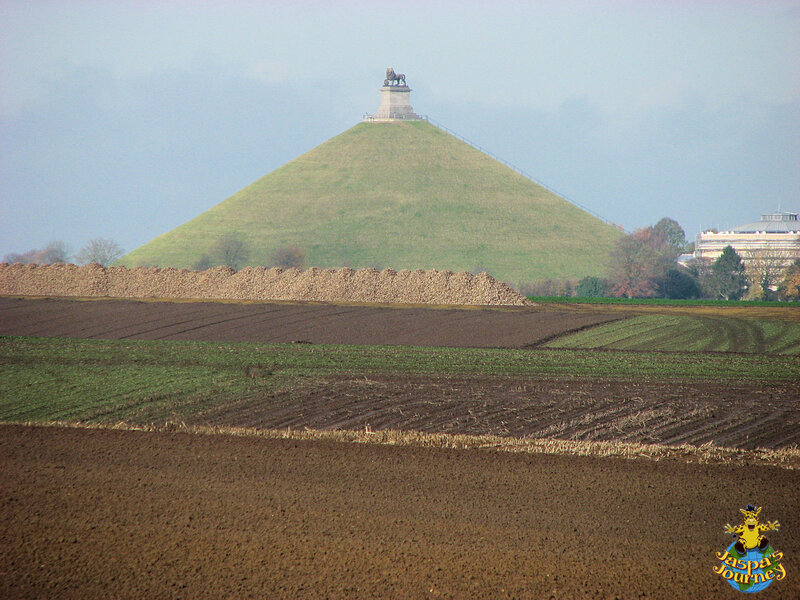 In commemoration of the Prince being wounded in the left shoulder by a musket ball during the battle, an enormous conical mound crowned with a massive cast iron lion was constructed on the spot. 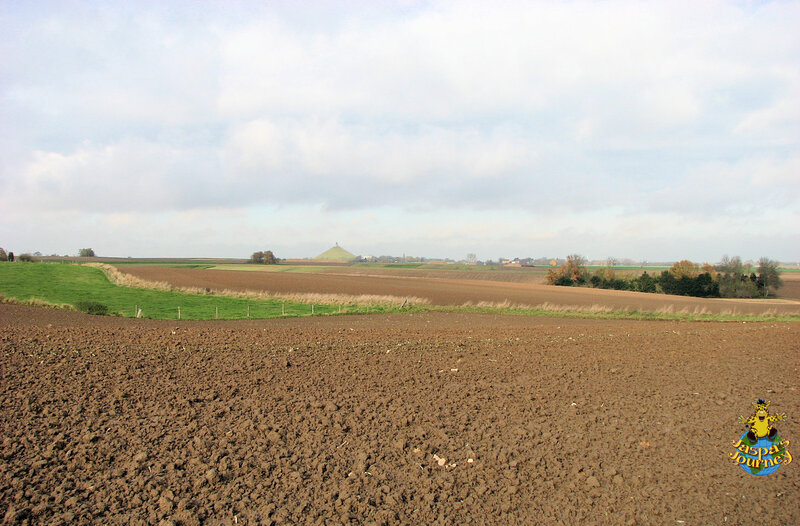 Ever since, the Lion’s Mound has dominated the peaceful farmland that was once the site of such a vicious battle. 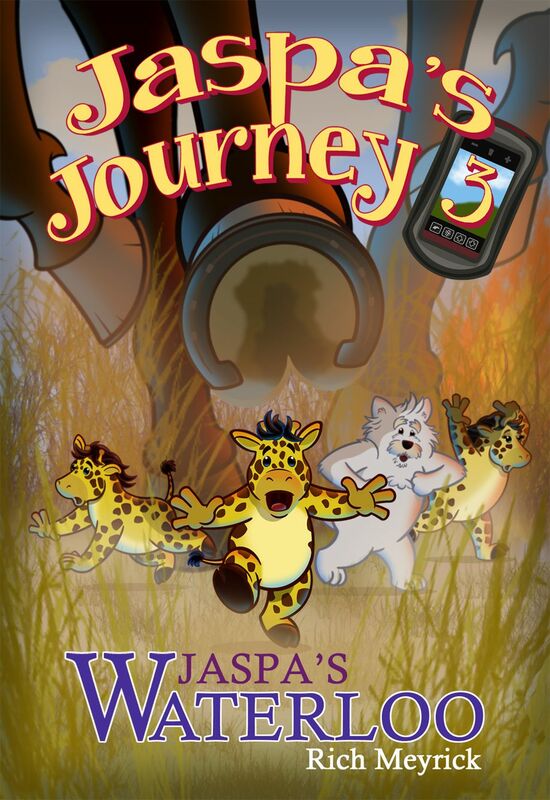 You can read all about my adventures on the Waterloo Battlefield (including climbing The Lion’s Mound) in Jaspa’s Journey 3: Jaspa’s Waterloo. This post was inspired by the photo themes of Piles or Stacks from Cee’s Fun Foto Challenge, Afar from Debbie’s Travel With Intent, and Clouds from Patrick’s Pix To Words. This entry was posted in Europe, History, Jaspa's Journey, Travel and tagged Battle of Waterloo, Belgium, Jaspa's Waterloo, Lion's Mound, Prince of Orange. Bookmark the permalink. Good to see this Jaspa. 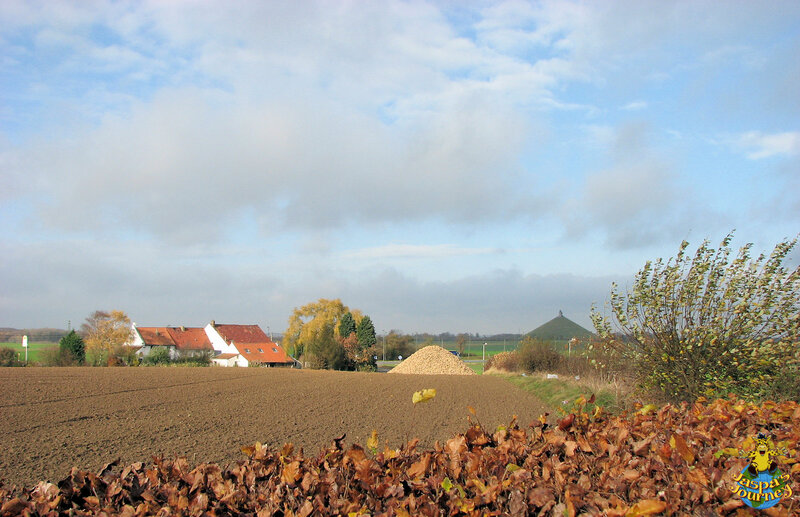 Interesting afar shots with farmland in forefront, and your slightly less afar one show the mound at its best.